Wow! This is so dreamy and when I saw it my eyes popped :-) Yes, this stunning Elephant is a cake!!! 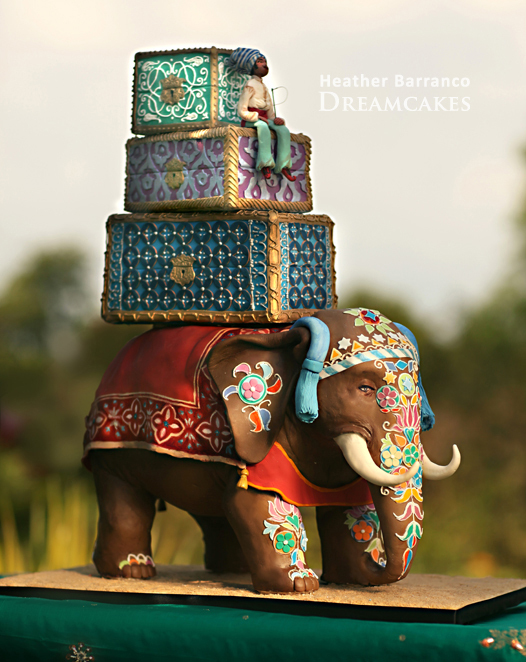 To visit Heather Barranco Dreamcakes click HERE! How beautiful! I could even see a bride doing a tiered cake out similar in design to the boxes on top. wow! It would be hard to cut that puppy. Awesome. 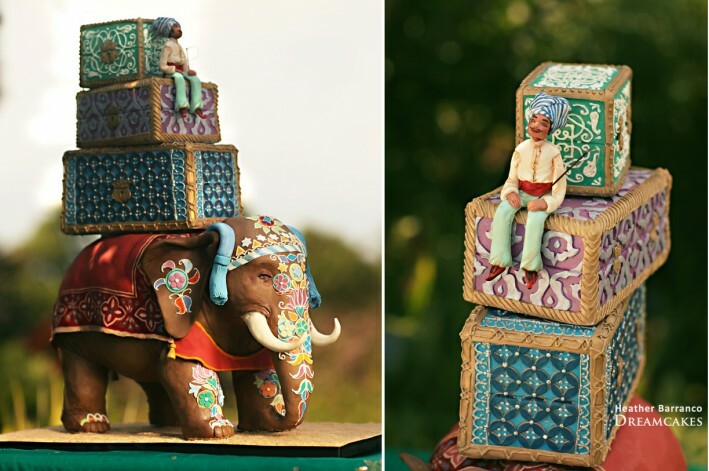 I love those intricate details taken into consideration. How did it taste?